Spring is here but there are still some brisk days and nights. Lumene has some great products that were picked especially to keep your skin rejuvenated, moisturized and healthy, no matter what age you are. These are designed to bring out your beauty, naturally. Massage into damp skin in circles, then rinse thoroughly. This is perfect for cleansing. After washing, apply with cotton swabs. I loved that this is made from 95% natural ingredients. These beauty drops defy aging and help you uncover your naturally radiant skin. This smoothens your skin in the most gentle way. I love that there is sunscreen in this. That means you can skip applying sunscreen separately. It’s perfect for ages 25+ for skin is maturing and is free of paraben. This is alcohol-free and is perfect for sensitive skin. It’s also made with 100% organic soothing arctic linen seed extract which calms the skin. This is also perfect for anti-aging. It’s best for women about age 40. Lumene’s products are sure to target all your skin needs! 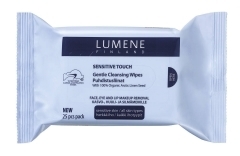 Go to www.lumene.com to see more of their products. I keep looking for just the right products. In the meantime, I have a cupboard full of them. The firming cream sounds like something I could use. 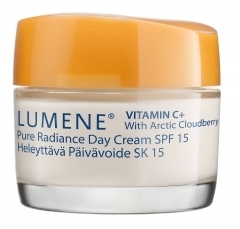 Pure Radiance Day Cream SPF 15 sounds perfect for me since i dont need suncreen with it. great review! Using the correct product is very important, using a wrong product can damage your skin, so make sure that you are using correct product.